Sometimes known as the Amiens Gun, the 28cm SK L/40 Railway Gun “Bruno” was produced by Germany within a series of monstrous artillery weapons. 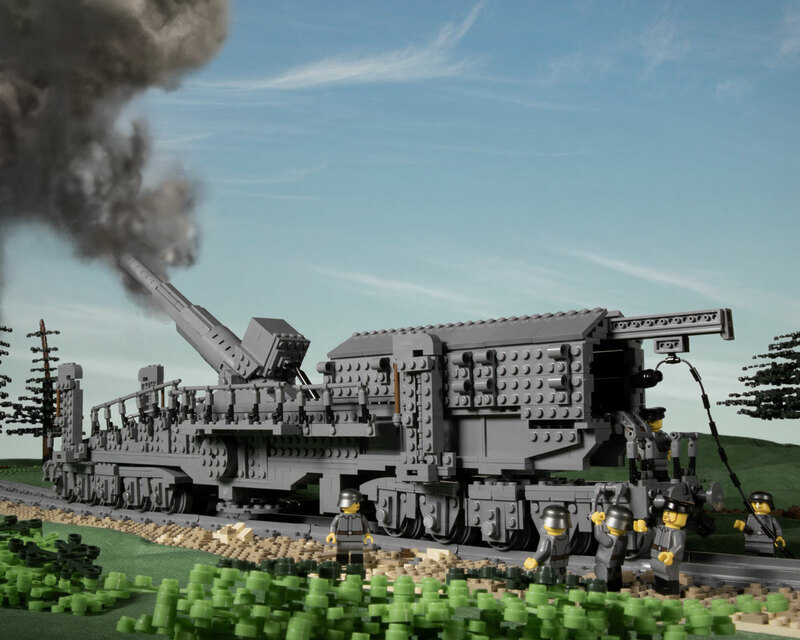 The advent of the railway gun was first seen during the American Civil War with the Confederacy deploying a 32-pound gun at Savage Station in June 1862. As the First World War continued, each army continued to develop larger artillery pieces, eventually mounting naval guns on railway cars. These huge weapons often had a range of twenty miles or more, making them both formidable weapons and top priority targets for opposing armies. This tradition continued into the Second World War. There were six 28cm railway guns produced for the German Army. One of the guns was involved in the Battle of Amiens, used to shell the city of Amiens during the summer of 1918. The gun was captured by the Australians during the Battle of Harbonnieres, a massive offensive by the Allies on August 8, 1918. The gun was brought back to Australia as a war trophy and is on display at the Australian War Memorial in Canberra.